Governments may be looking the other way, but rising carbon prices and stricter EU regulations are sounding the death knell for the region’s lignite fired power plants, Martin Vladimirov explains. Rapidly increasing carbon prices and stricter EU regulations on air-polluters will make already outdated lignite-fired power plants in the region bankrupt and politically unacceptable over the next decade. More importantly, green energy alternatives are already economically feasible, and could become a force not only for energy transition but for the transformation of whole economic regions that now depend on coal. In the current legislative and market environment, fossil-based electricity production may still be the cheapest option, especially in the Western Balkans. Most power plants in Southeast Europe are old [some of the “youngest” were built in 1988, before Yugoslavia broke up], so the original investment in the plants has long been recovered, enabling them to operate at prices that recoup their marginal costs. However, policy-makers should be aware that the projected hike in carbon prices will require ever bigger state subsidies for power plants, which is not sustainable in the long run. Without these subsidies, fossil-based generation will make no economic sense. Most lignite power plants in the region will also have to face the EU’s new Best Available Techniques environmental standards, BAT, which will require enormous investment in modernization that would have to come either from the budget or from private investment. As a result, roughly half of the region’s existing coal and lignite generation will have to be replaced or phased out by 2030. All of the above would raise household power prices, or, alternatively, the budget cost of maintaining them artificially low. But the response of governments has been either to do nothing or even to double-down on coal. 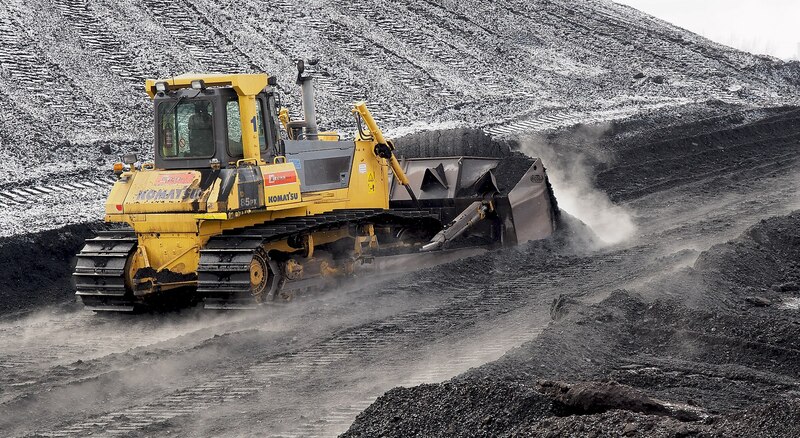 The discussion of how to deal with the coal legacy is one of the main energy policy dilemmas in the region’s EU member-states, like Bulgaria and Romania, which are developing integrated national energy and climate plans, NECPs, required by the Energy Union’s Governance Regulation, to reduce CO2 emissions by 2030. Other Western Balkan countries, as contracting parties to the Energy Community, are mulling similar plans, although the EU’s influence on the debate there is weaker. In 2016, China’s Dongfang Electric Corporation completed the first privately built coal-fired power plant in the Western Balkans, the 300-MW Stanari plant in Bosnia and Herzegovina. A year later, Kosovo signed a billion-euro deal with US-based ContourGlobal to build a new 500-MW lignite-fired power plant, initially backed also by the World Bank. A total of 12 coal-fired power plant projects have either been started or are in the planning stage in the Western Balkan region. Bulgarian and Romanian energy policy-makers have also been reluctant to give up on coal, for obvious political reasons. More than 60,000 workers are directly or indirectly engaged in coal mining, coal-fired power generation or auxiliary services in the two countries. Phasing out coal could mean an economic catastrophe for the affected regions and possibly trigger violent street protests. The cost of not doing anything, however, is even worse. Bulgaria’s Maritsa Istok 2 lignite power plant, the largest thermal power plant in Southeast Europe, could generate losses of more than 150 million euros for the 2018 financial yeardue to the more than three-fold increase in the price of CO2 emissions. Previously one of the cheapest power generators in the region, Maritsa Istok 2 now finds it hard to sell its electricity on the free market. As the EU plans to continue reducing the CO2 quotas allocated to member states, the carbon price is expected to keep rising in the medium term. The 2017 South East Europe Electricity Roadmap, SEERMAP, a modelling study of three scenarios for the de-carbonisation of the electricity system by 2050, conducted in nine countries in Southeast Europe, showed that by 2040, the total installed coal capacity in the region will drop to around 2.3 GW down from more than 24 GW today, on the back of rising carbon prices. The assumption based on the European Commission’s 2016 reference scenario is that it would reach 88 euros per tonne by 2015. The corresponding rise in average wholesale power prices in the region will meanwhile make renewable energy sources more competitive. This means that although RES-based power plants would need some support in the beginning, most renewable investment in the mediumterm would be realized by private investment. The RES support relative to the electricity cost [wholesale price plus RES support] is only 2.6 per cent at its highest level in the decarbonisation scenario, indicating that if renewable energy deployment is well planned, and if forward-looking policies are in place, the impact of renewable subsidies on households and businesses can be kept very low. The alternative to delaying de-carbonisation of the power system is possible but would end up being costlier. As burning coal becomes more expensive, the utilization rate of power plants will drop below 15 per cent, leading to enormous stranded capacities. These will likely require public intervention, whereby costs are borne by society, with electricity consumers paying an estimated more than 2 euros per MWh on average to keep coal plants in reserve. Stranded costs are much higher in Bosnia, Greece and Kosovo. Most of these costs can be avoided, however, by taking early action to decarbonize the electricity sector and by avoiding investment in additional fossil fuel plants. The result would mean not only a fall in the energy poverty levels, one of the biggest politically sensitive issues in the region. It would also mean less air pollution, which has been choking the region for decades. More than 43,000 premature deaths in the region each year are attributed to bad air quality, according to the European Environment Agency. Market forces, not external regulations, will therefore likely drive out most of the coal-fired power generation in the region. To mitigate the associated socio-economic pain, governments should take bold steps to gradually transform the economies of coal dependent areas. The targeted use of financing instruments, including the new Modernization Fund, the EU Cohesion and IPA funds, could facilitate projects for new renewable-based power generation on the sites of the closing coal plants or for the education and reskilling of coal workers. It is also time to bust the myth that renewables are the costliest energy source. In fact, renewable technologies are getting cheaper and in some countries are already competitive with traditional fossil fuel-based electricity generation. However, as capital costs in the region are still excessively high, public-private cooperation would be needed to implement financial de-risking instruments. To unlock the renewable energy potential, policy-makers should work on a long-term robust, reliable renewable energy support framework that reduces the administrative and tax burden for new RES investments, creates market-based financial incentives and empowers household consumers also to become electricity producers. Ultimately, this will require a significant improvement of energy governance to remove the vested interests that have captured policy – and that have contributed to the generation of enormous public-sector waste. Martin Vladimirov is an analyst at the Economic Program of the European policy research think tank, the Center for the Study of Democracy. This article has been republished from Balkan Insights and was produced as part of the South East Europe Energy Transition Dialogue project financed by the European Climate Initiative (EUKI). The information and views set out in this article are those of the author(s) and do not necessarily reflect the official opinion of the Federal Ministry for the Environment, Nature Conservation and Nuclear Safety.